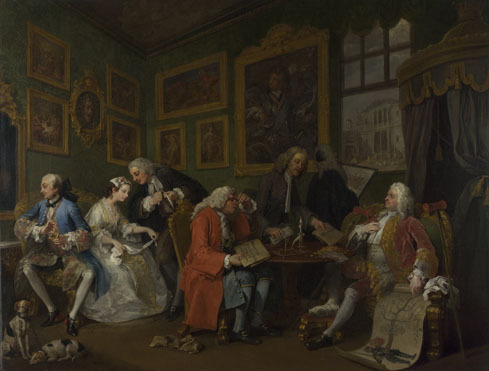 Hogarth was a trained engraver in the Rococo fashion and his painting and his portraiture works therefore contained strong remnants of this era. The themes of his work mainly focused on the moral values of 18th century society, in contrast to the Renaissance artwork before this period which reflected on religious ideals. 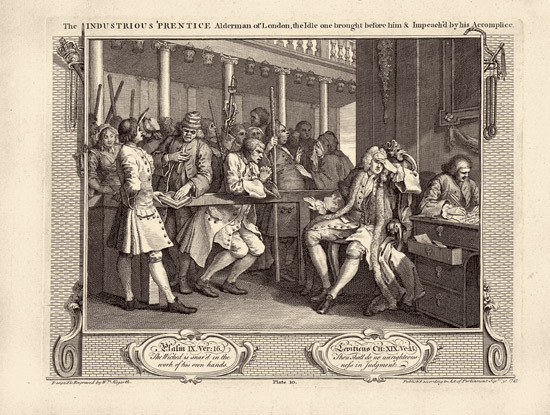 Hogarth art mainly focused on the moral codes which he and most of society recognized. Codes that were being flouted by people from all walks of life on a regular basis and the artist felt should be brought back to the attention of ordinary people. 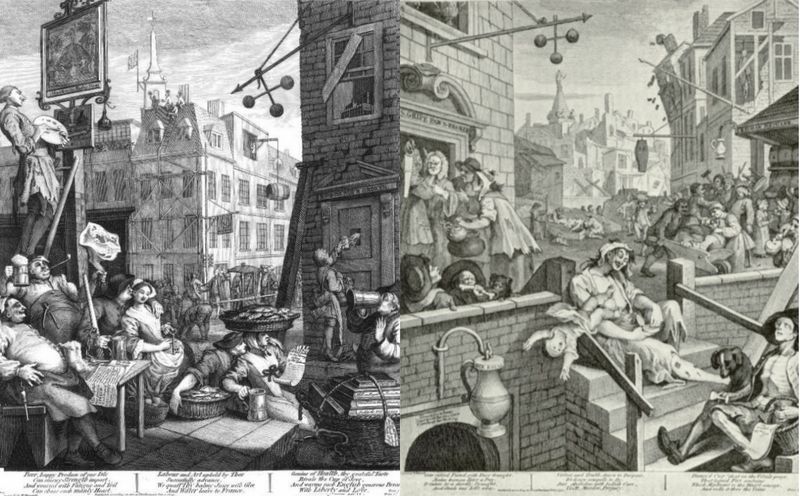 By making engraving cartoons popular, Hogarth also helped launch art into the commercial world. 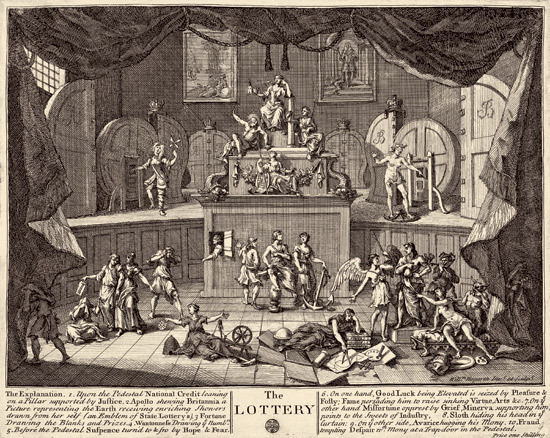 His engravings could be printed on mass and were available to everyone and such commercialization was also fuelled by Hogarth's distaste of the works of the great masters, which satirized in his cartoons. 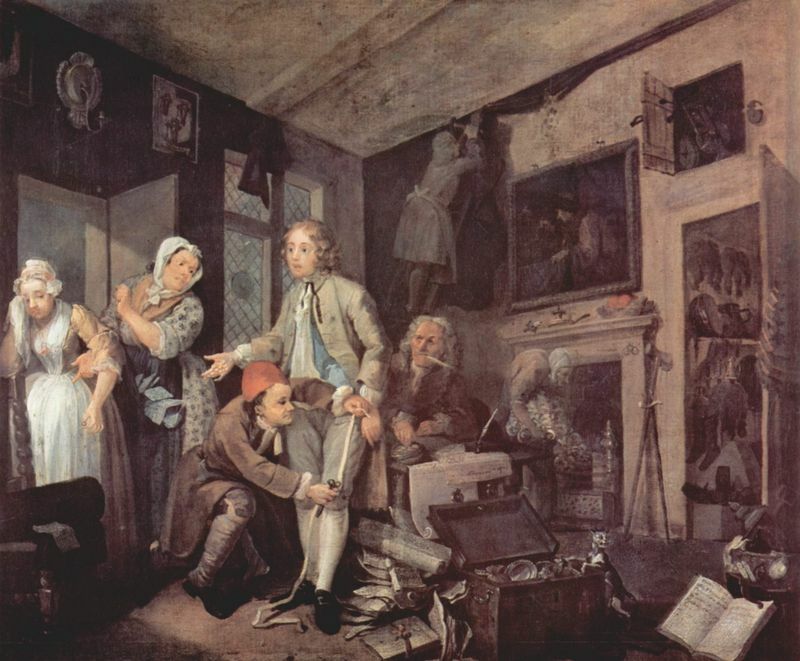 Due to the Italian Renaissance, British art never had a chance to become successful in its own right and this was something Hogarth was determined to put right with his own paintings. During this time the business card was also becoming increasingly popular and creating insignias was steady work as England's economy began to boom due to the increase of the printing, engraving and investment in the art world. 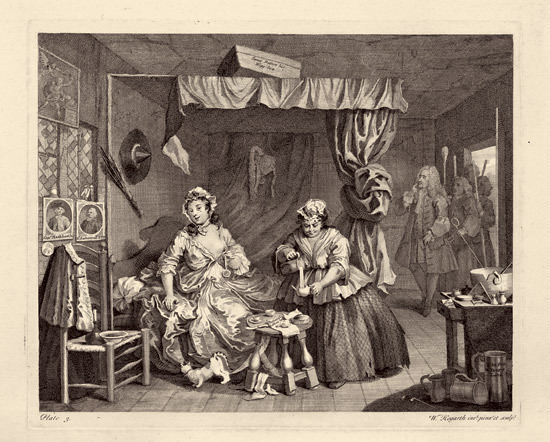 Hogarth referred to fitness as the concept of a socially accepted idea of material beauty. Referring to the amount of visual stimulation provided in a work and the beautiful aspects in the painting or scene that would keep the eye intrigued. How the viewer saw the objects and the variety of forms in a commonly understood manner. Also referring to how the objects placed in the work were in sync with the main focus and complimented the beautiful aspect in the work. This dealt with the overall compositional qualities of the work and how the eye found the dimensional planes and rhythm in the piece. It also looks at how the viewer defined the work in a pleasurable way as he or she saw the image upon the two-dimensional canvas. How much the artist could fit into the canvas and how the eyes preferred variety just as much as quantity. However, a surplus of different objects and characters in one composition could create chaos if it did not comply with the original focus and help accentuate the principle theme. Through this sort of art analysis Hogarth defined the Serpentine or S-curve within the Rococo style as being very important. He used it to provide the viewer with a beautiful composition and help create visual harmony and intricacy in his work. The Rococo style focused a great deal on loose and free lines to create the beauty apparent in many paintings of the period. 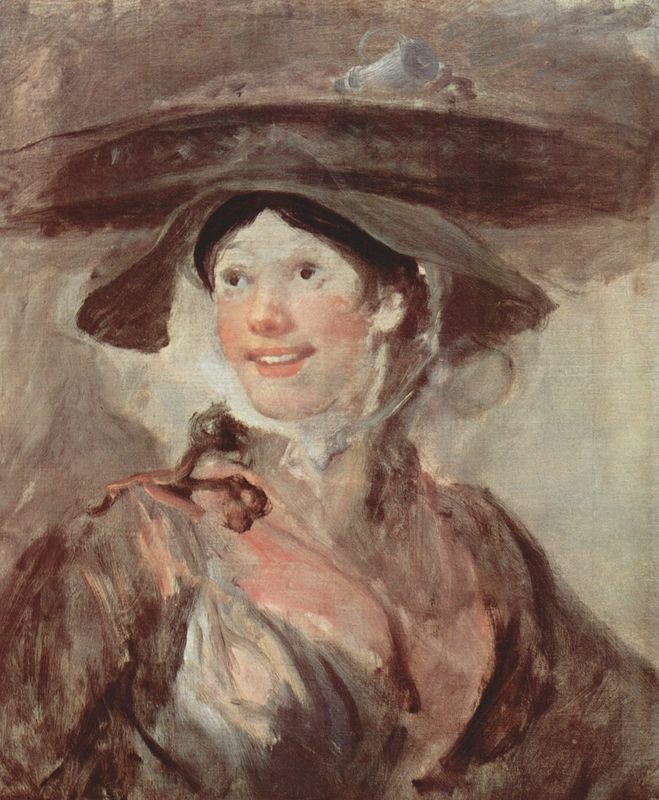 Hogarth's palette took on very warm and rich tones, restrained by a variety of light and dark browns. He mainly used dark browns for his interiors and boldly used black to compliment his lustrous reds. Reds featured heavily in his works, especially his portraits. 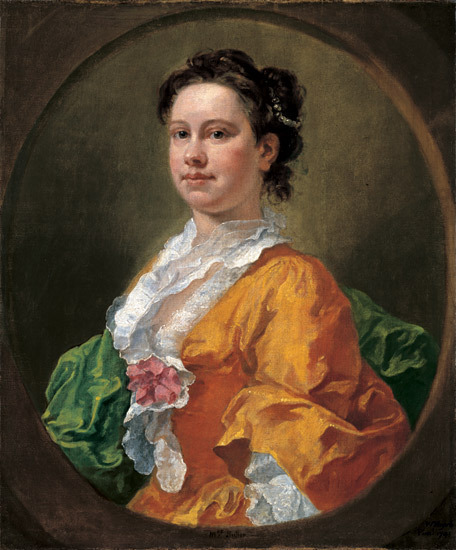 In some of his work Hogarth mixed his colors, layering dark blues and grays over white tones to create fabric texture and shadow. 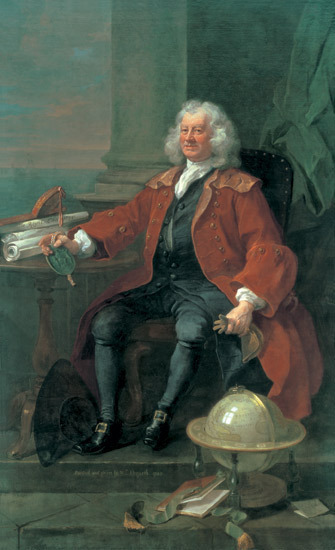 Hogarth created his compositions out of numerous facets and objects, used in a way which created harmony in the work. He included various characters necessary to the narrative without overcrowding the work and creating chaos. He made his works a visual spectacle and at the same time fulfilled his 'Analysis of Beauty' theory by making the work intricate. The artist inserted objects in relation to the main characters, such as the furniture and various other props to define depth and dimension as well as add meaning to a piece. In his portraiture work and historical paintings Hogarth uses the Rococo style of loose strokes in free flowing nature, whether broad or fine. Even in his moral works where it is overcrowded, he continues to use a heavy paint laden brush over the canvas in smooth, loose strokes. Hogarth also used random daubing and presses the brush lightly on the canvas for finer detail such as ruffles and frills where appropriate. His most experimental work was The Shrimp Girl; here his brush strokes are more inspired from Dutch masters such as Frans Hals and Adriaen Brouwer. The paint is almost haphazard and freely applied with no rigid structure. He uses the paint thickly creating a sense of movement upon the various fabrics. The loose free lines and sweeps allow the viewer to see texture in the light and shadow. Hogarth was a firm believer in sketching people and objects from everyday life and as a boy would go to fairs in London and sketch the people he observed. In order to produce prints of his work he would firstly paint the scene he wished to produce and then it would be engraved by other people so that it could be printed. 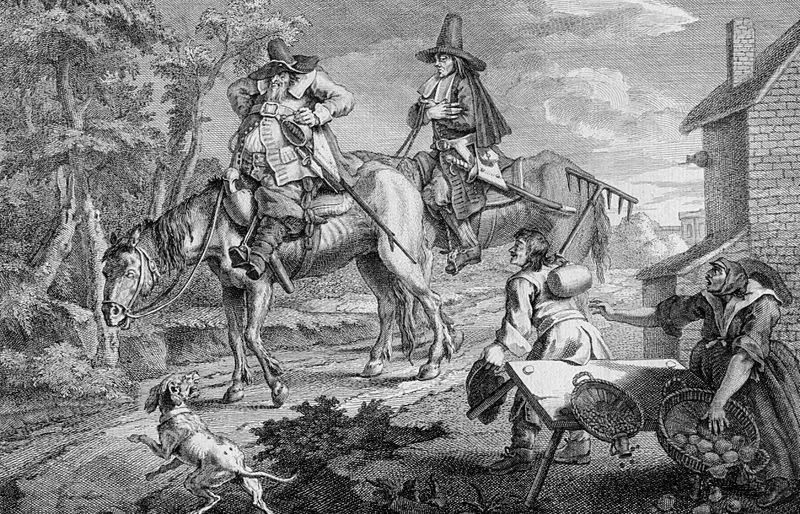 Hogarth became particularly successful during the 18th century partly due to the fairly new introduction of the printing press and new engraving methods. The fact that he was a trained engraver can only have been helpful when he was composing work to be printed on a large scale. It's obvious from Hogarth's work that detail was important to him, and this must have made the engraving process very difficult.